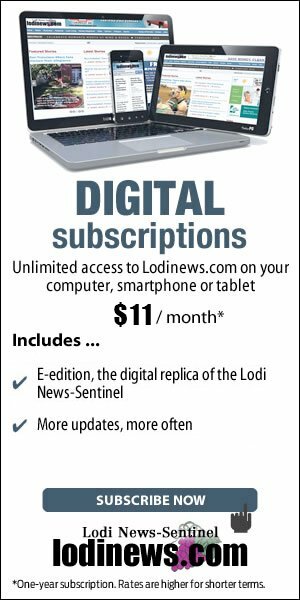 If you are currently a Lodi News-Sentinel print subscriber, you can get unlimited access to Lodinews.com and E-editions at no extra cost. Click here for instructions. If you need help, call our Subscriber Services Department at 209-333-1400 between 8 a.m. and 4 p.m. Monday to Friday. Have questions about digital subscriptions? If you have questions about our digital subscriptions, please call our Subscriber Services Department between 8 a.m. and 4 p.m. Monday to Friday. Need to manage your print subscription? 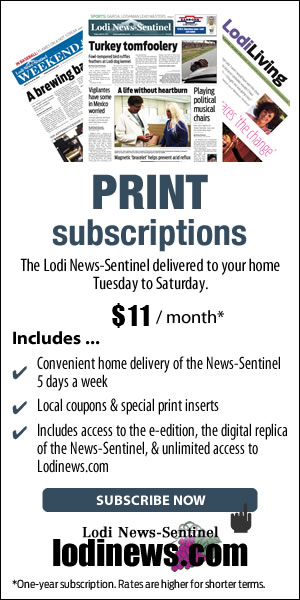 If you already have a Lodi News-Sentinel print subscription and you want to renew or place a vacation hold, please go to our online subscriber service to manage your subscription. If you need help, please call our Subscriber Services Department at 209-333-1400 between 8 a.m. and 4 p.m. Monday through Friday.